The history of policing in Western Australia began with the founding of the colony in 1829 when Governor Stirling appointed a few part-time constables to maintain public order in Perth and Fremantle. A troop of Mounted Police was formed in 1834 and other types of police were added as the needs of the colony changed, particularly after the introduction of convicts. The colony's Legislative Council passed a Police Ordinance in 1849 that outlined police powers and responsibilities. An organised police force did not as yet exist. The Police Force was formally established in 1853, when a Chief of Police was appointed and a Code of Rules published outlining an administrative structure. In 1861, a second and expanded Police Ordinance was passed to clarify the chain of command, the powers and responsibilities of members and the various offences they had to deal with. In that year, the Police Force consisted of about 75 commissioned officers and men. The extent of police jurisdiction expanded with the State, and by the time the Police Act of 1892 - still largely in force - was passed, the number of members had increased threefold. Until the era of Commissioner Robert Connell, who took the reigns in 1912, the management of the police was largely in the hands of colonial gentry, former military men and public servants. Connell came to power at a time when major technological innovations, such as the introduction of finger printing and motor transport, were about to change the nature of police work. During his 21-year stint as Chief of Police, he introduced a number of major reforms that gave the police force a stable shape and structure until the present age. One example was the introduction of the first women police in the State in 1917. They remained something of a separate entity and carried out quite specialised functions until being integrated into general policing in the 1970s. Since the numbering system was introduced for members in 1898, over 10,000 men and women have served in the police. The changing of the organisation's name to the Western Australia Police Service came with the appointment of Commissioner Robert Falconer in 1994, the first police officer with a non-West Australian career background. Mr Falconer began a reform process involving structural and personnel changes on a large scale. The Delta Program was utilised to introduce these changes. The following Commissioner, Barry Matthews, was the first Chief of Police appointed directly from another country since 1867. His successor, Dr Karl O'Callaghan, oversaw changes in the structure and administrative style of the service as far-reaching as that of the Connell era, and changed the organisation's name to the Western Australia Police. Commissioner Chris Dawson was appointed in August 2017. The organisation’s name changed to the Western Australia Police Force. A national Police Remembrance Day is commemorated each year on 29 September as a way of remembering officers who have made the ultimate sacrifice. In memory of our colleagues who have died in the performance of their duty. 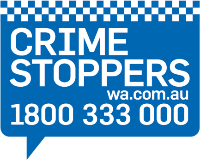 Rationale and history of the WA Police Force logo, flag and banner. The rank insignias of the Western Australia Police Force . History of the WA Police Force Commissioners 1853-present.